It’s a new year, well a week and-a-half ago, and hopefully you haven’t had to rectify your written dates much. Back in 2013 or 2014, can’t remember exactly, I was living in Geelong. The place I was living at was in an old building, which undergone several uses since it was built and at the time of my stay it was used as accommodation, namely student accommodation. I was on the top floor, and my bedroom faced east which looked over the bay, Cunningham Pier, could see Deakin University and the waterfront. It was a great room except for one thing, the desk. I can’t seem to find the photos I took of the desk but it’s similar to what’s pictured above. It was nothing fancy, just a small desk, ideal for a student. However, not ideal for an architecture student. While the desk was okay in length, it was depth that lacked as it was only about 500mm. Once you had your monitor in front of you, and your keyboard, there was no more room. Once the laptop was off to the side (feeding the monitor), room was starting to lack width wise. I’m sure I’m not alone with this, but I need a desk with depth so I can have my laptop in front of me and enough space between the edge of the desk and laptop to have A3 paper that doesn’t overhang. It was after a late night battling an essay with books sprawled over the desk and frustration of not being able to have them in front of me while I type, that I decided I’d build my own desk. Why build a desk when I could just go buy a bigger desk? Valid, probably smarter, cheaper and quicker to do so. However during this time I started going to guest lectures by architects and were noticing beautiful custom-made joinery and I wanted to get in on the fun. It would not only give me a chance to design something that isn’t a building, work out the details, etc, but also allow me to use my hands to build it. People would often wonder why I spent so much time in the studio instead of working at home, and the truth is it revolved around my desk. In the studio I could have 4x+ the desk space than at home, this allowed me to sprawl with sketches, paper, books and such. For someone who is so against the sprawling cities and suburbs, I tend to adopt that method on my desk. However, I ended up moving from that place, without my custom desk. The next place I moved in had a slightly larger desk than before, but still wasn’t big enough by my standards. I kept looking at desks for inspiration, taking measures, etc but then I moved again. I ended up buying a cheap K-Mart desk, 1800mm wide by 480mm deep. It is not big enough, by a long shot but I’ve had it over a year now and it’s going okay. I haven’t exactly built it according to instructions, only applying a couple screws, so I’m surprised it hasn’t collapsed. It’s been about three years, and each year I tell myself “I’m going to build my desk, and it will be glorious.” Still no desk though. I have my brief, and general sizing idea and what I might use as materials but I haven’t really sat down and properly designed it. Or even just build it by winging it. Naturally I want to design it, and build it (with the assistance from my brother, and his tools). I need a bigger desk so I can have my computer but space to sketch, draw, look at plans, build models and not feel cramped. I need a bigger desk so when typing an essay or a blog post I can have relevant books and sources close-by without stressing me out because everything is piled up. 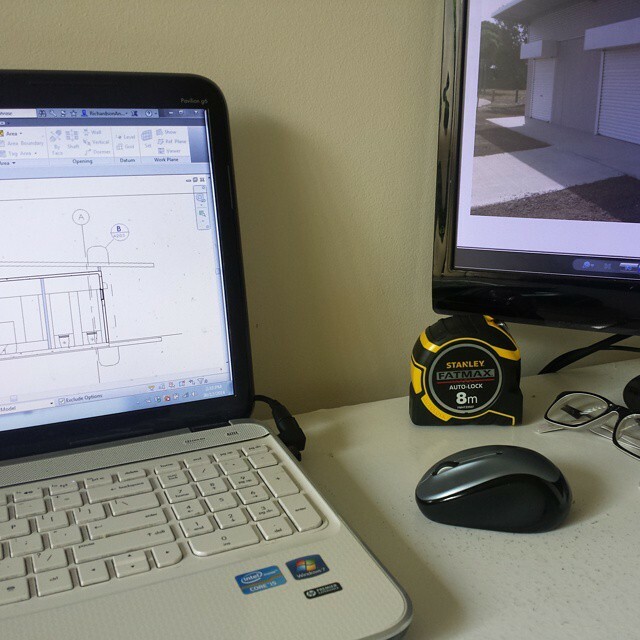 The desk will be a backdrop for photos of sketches, models and projects, so having the right material is important. It’s a new year, and I’m going to build a new desk, my desk. Last year especially, I did a lot of talking about what I’m going to build. These included my desk, a pallet bed, concrete picture frame, concrete nics and nacs, plywood furniture and the like. Nothing eventuated, so the new year will be about executing these ideas and visions, with the big ticket item being this desk. With the new desk comes new opportunities and space to work. 2016 is going to be a big year for me, so I think I’m going to need to build a big desk. This post is part of the ArchiTalks series in which Bob Borson of Life of an Architect selects a theme and a group of us (architects who also blog) all post on the same day and promote each other’s blogs. 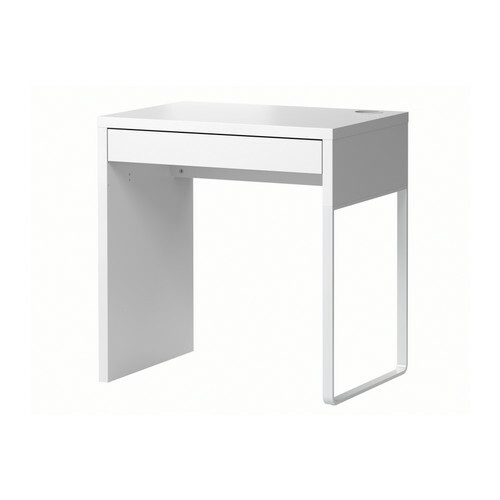 This month’s theme is ‘New Year, New ____’… I thought I’d share with you my desire for a new desk. To read how others interpreted the theme please click the links below…. It is so hard to buy stuff when you know what you want and nothing available for purchase quite fits. Yes you could settle for something that is “close enough”, but custom building what you want and need is clearly the best way to go. Best of luck in building the desk. I look forward to a post about sometime in the coming months. So You’re About to Begin Studying Architecture?